How AI is not drowning the current potential workforce and will, in turn, enhance human creativity with the right reskilling and upskilling programs for the employees. A vast number of job profiles which rely on human labor will eventually fall within the domain of machines, as computational power keeps going up. Automation is happening in all walks of life: in manufacturing, in surgery, in war, in stock trading, in the law and even in journalism. Automation is poised to become the defining trend of our generation and individuals and organizations need to take proactive steps to stay relevant in an ever more automated future. However, we need to understand that a sustainable future will require human beings to work side by side with robots, and cooperate even in a post-automation world. When machines were introduced in woolen and cotton mills in early 19th century England, bands of workers known as luddites initially destroyed the machinery, fearing it would threaten their jobs. As more and more tasks in the weaving process were automated, it prompted workers to focus on the jobs machines could not perform, such as operating multiple machines. This caused output to grow explosively, making cloth cheaper and increasing the demand for it. The end result was that more jobs were created in the weaving industry: the number of weavers quadrupled between 1830 and 1900. Technology thus transformed the nature of the weaver’s job, and the skills required to do it, rather than replacing it altogether. Human genius lies in creativity, adaptability and social intelligence. These are qualities that will gain ever more prominence at in the workplace of the future. There will be a need to upskill to keep up with ever-developing technological innovations. The education system needs to be more cognizant of this sea change and bold measures must be taken to prepare aspiring professionals across fields to develop a harmonious relationship between man and machine. The future can be bright or otherwise, depending on how we choose to respond to the zeitgeist that is automation. Not only do we need to embrace automation, but also address the workforce transitions and challenges it heralds. Across the world, this may require concerted and sustained investment, the development of innovative training models, schemes to facilitate worker transitions, income support, and collaborative effort between the public and private sectors. 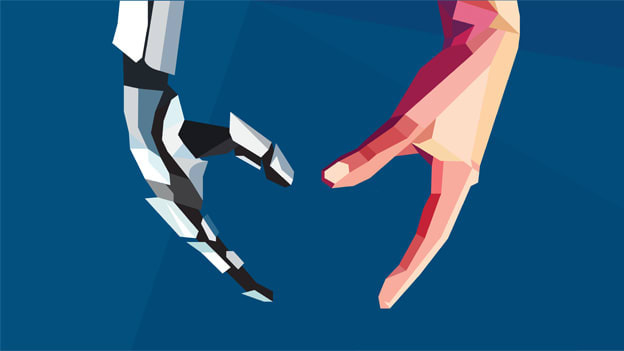 While pessimists may worry about job roles of today becoming redundant, with the right mindset and innovative thinking, automation can open up a new world of possibilities. The answer to the impact of automation on the jobs of the future is not to give dire warnings, but to look at how re-educating and reskilling students and workers will help nurture technology to take mankind beyond automation to the next big revolution.